Let the rose sit in the silica gel for about 3 hours or so. 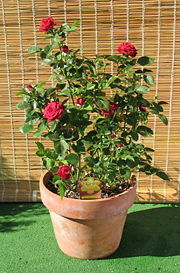 After that time gently dump the silica and the rose into another container to get the rose out. Take a soft artists’ paintbrush and gently brush off the silica gel that you can. Take a clothespin and clip the bottom of the rose stem, with a wire to the clothespin, and hang the rose upside down for a few days in a darkened room preferably. This will finish drying the rose completely. Take the soft paintbrush again and brush off any remaining crystals. Your rose is now ready for use. Roses will change color some from fresh to this dried state. Some of the discolorations will be for the good; some will be not so good. 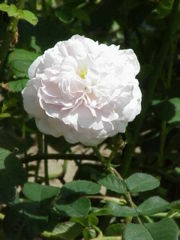 It depends on the rose variety. Try different ones and you’ll soon find your favorites. If you rose turns out brown however, it’s because you micro waved either at too high of a setting or too long or both, and it literally cooked. Back those down and try again.